On Friday, October 5, a spectator left Le Golf National with permanent vision loss in her right eye after an errant tee shot on the par-4 6th hole struck her in the head. Although, this isn’t the first time a spectator has been injured at a professional sporting event, tournaments and golfers are questioning if they can be held liable when an errant shot injures a fan? 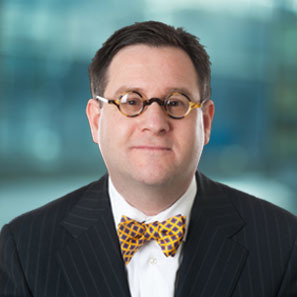 Randy Maniloff, Counsel in the Insurance Coverage and Bad Faith Group spoke to Golf.com about the best way to interpret and understand how courts may rule. What has been dubbed “the baseball rule” dictates that stadium operators have an obligation to provide safe seats to fans and alert them of the potential dangers. Maniloff dissects what the potential lawsuit could mean for both sides. Read the full piece on Golf.com.